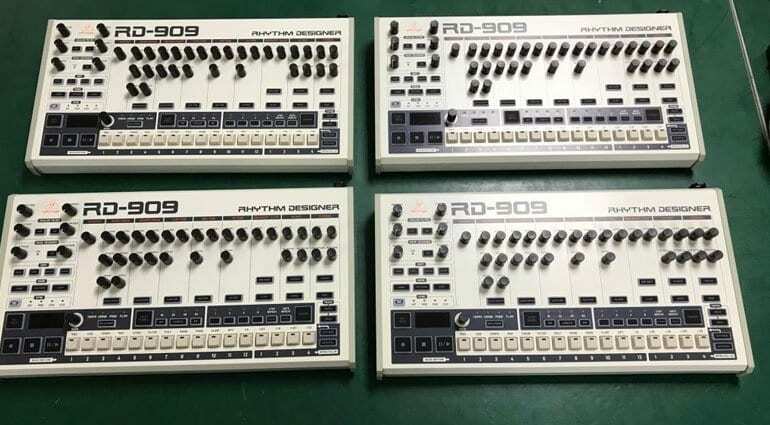 Uli Behringer has been hanging out on the Gearslutz forum again, this time updating us on the forthcoming RD-909 Rhythm Designer. Disappointingly it’s still “several more months away” but thrillingly they are sticking with the $299 price point. 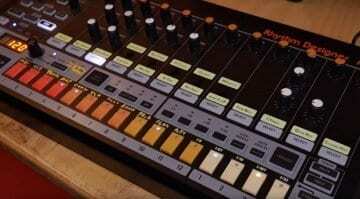 We saw this interpretation of the classic Roland TR-909 drum machine at Knobcon in September. 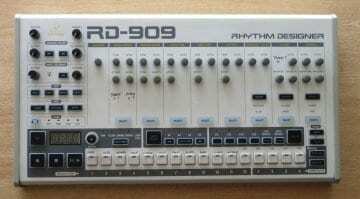 There were not many details available other than the noted addition, as we’ve seen with the RD-808, of an Analog Filter and Wave Designer. But new images included in the forum post show that the hardware has been neatened up a bit. The knobs look better, they’ve brought some orange back into the labels and more importantly the step keys appear to be mechanical. With the original image the keys looked more like buttons. 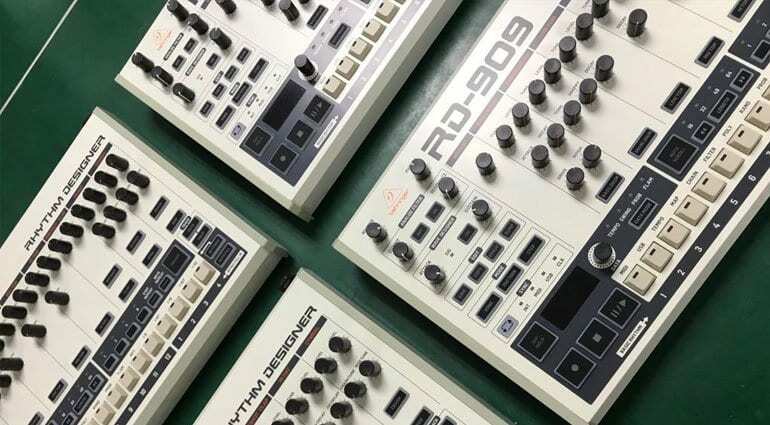 We like to give you an update on our RD-909 development. We have now entered TMS or Tool Made Sample stage which is one stage before pre-production. We’ve built 10 units for final testing to ensure everything is perfect. What you cannot see on the current artwork is that we have added even more functionality. One of our engineers came up with a brilliant idea to allow the sequencer to modulate the Analog Filter and Wave Designer. We still need to ask for your patience as it will still take several more months to ship the product. The guys here are very excited and they work hard to speed up as much as possible! We’re still targeting US$ 299 retail (depending on import tariffs). 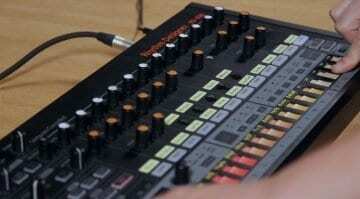 The modulating of the Analog Filter and Wave Designer do indeed sound like a brilliant (or even a no-brainer) idea. So, what do you think “several more months” mean? 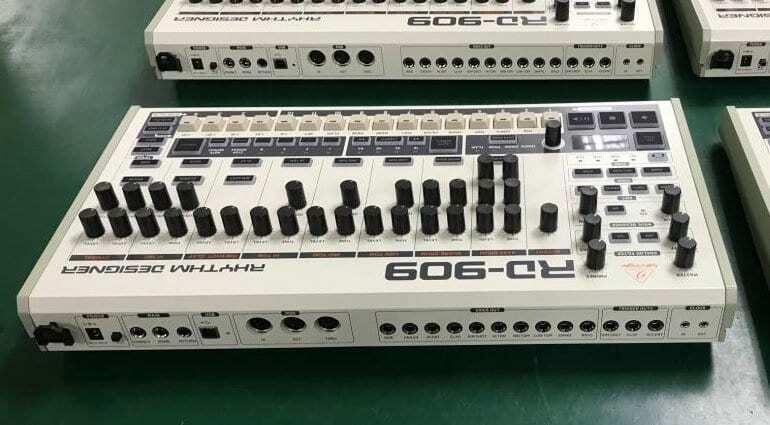 We’ve still not seen the RD-808 in the shops yet but that was tagged as being before Christmas, so they are still on schedule. So maybe March if we’re lucky but probably the summer. $299 remains an exciting price.